Today, it’s a day to be proud of for Indians, we have a new symbol like other developed nations in the world. There were five designs among which this one was selected. The five designs also found a panel of five members to pass through the selection process. Though the five members had to select one person who was to decide which one to pickup as the new currency symbol for the Indian Rupee. A decent work was done by Mr. Udaya Kumar, an IIT Post-Graduate in selecting the Devanagari + Roman version of the Indian Rupee. 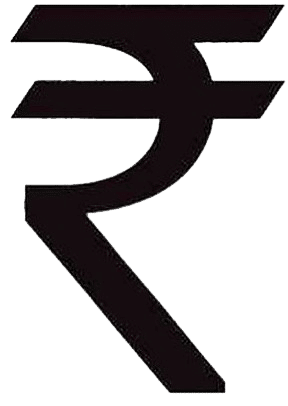 Government of India Announced for a contest to create a new Symbol for the Indian Rupee – 5th March,2009. The Symbol was to be selected at a Union Cabinet Meeting but was postponed due to a humble request by the Finance Minister – 24th June,2010. D Udaya Kumar, An IIT Post-Graduate Selects the currency symbol for the Indian Rupee – 15th July,2010. So do you think the IIT – PG has done a decent job in selecting the Devanagari-Roman version among the five symbols ? Share your opinion with us! Glad that I could help you!.. I don’t generally respond to posts but I will in this case. Seriously a big thumbs up for this 1 ! Great blog! I genuinely love how it is easy on my eyes and also the facts is well written. I am wondering how I might be notified whenever a new post has been made. I have subscribed to your rss feed which really should do the trick! Have a nice day! I have not yet read this article, but it looks very intersting.I would love to read more blogs from you in the future. Keep up the good work.